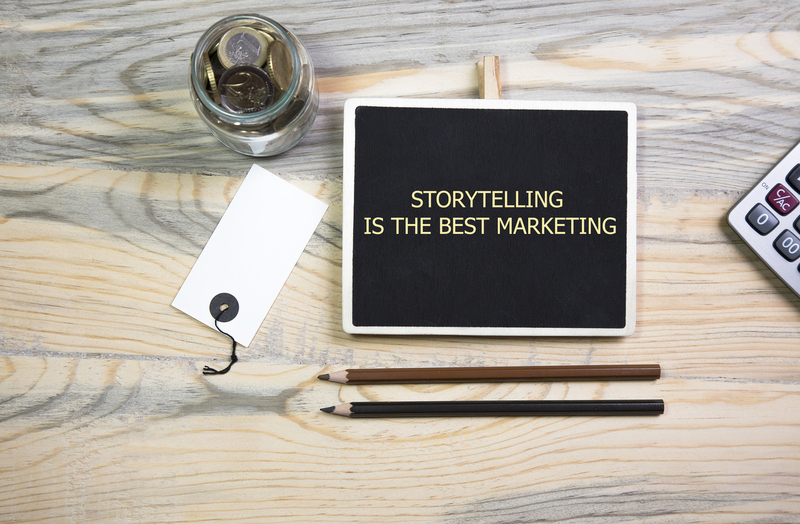 Storytelling focuses on increasing consumers’ emotional involvement in your brand, differentiating you from your competitors, inspiring your customers and increasing loyalty. Since stories connect people with other people, brands and products, businesses cannot succeed without this connection. Thanks to social media channels, it’s far easier for businesses to communicate with specific target audiences in a conversational way and hold customers attention over a long period of time that it’s not just a 30 second TV ad. Here at Strategy Plus we have plenty of tips that hopefully will help your company write original stories and build long term relationships with your customers. Brand stories must follow three important rules: consistency, persistence, and restraint. It would be easy to change your brand message because you’ve seen a competitor create a cool websites or developed a successful social media campaign, but you need to stay true to your brand, otherwise your customers won’t understand what you really want to say and sell. Be creative but don’t stay too far from your brand promise. Confusion is the number one brand killer! As Geoff Mead points out in his book ‘Telling the Story – the heart and soul of successful leadership’, “A company’s story must be authentic and not just a sales pitch.” Brand stories are not marketing materials, generic ads or sales pitches. Remember the simple fact, people do business with people they like. Brand stories should be told with the brand persona and the writer’s personality at center stage. Boring stories won’t attract and retain readers, but stories brimming with personality can. Brand storytelling requires characters your audience will root for. It doesn’t mean you’re required to create fictional characters or brand mascots to tell your stories, but you need elements that enable your audience to become emotionally connected. In this way, they will be more interested to conclude the story and to follow your brand. Red bull are the experts in getting across the brand story by creating huge amounts of cool content using their buyer persona heroes as well as regular people. Check out their Youtube channel. One way of making your brand stories page turners is by focusing on the use of perpetual marketing, where one piece feeds on to the next. There are obvious ways of doing this, such as “Watch This Space” hooks on your website, social media channels or by email. OXO tried to use the perpetual marketing back in the 80’s with their TV ad campaigns, effectively creating a TV series over many years. Nearly twenty years have passed since the late Lynda Bellingham served up the OXO family’s last televised meal, after the brand’s owners claimed that the advert’s cosy communality was out of touch with modern reality. Premier Foods, the owner of the iconic stock cube, brought back the OXO clan for a new advertising campaign which highlights the role that men now play in the kitchen, including references to how teenagers use social media to document their diet. This is a great example of personal storytelling and how it resonates with the audience. IF YOU’D LIKE MORE INFORMATION AND TIPS FOR YOUR WEBSITE, PLEASE CONTACT US!